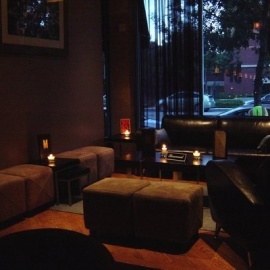 M Lounge is a relaxed martini lounge featuring live music Tuesdays-Thursdays from 7pm-10pm. Some Thursdays have a DJ set (see calendar of events at www.mloungechicago.com ). Weekends become a great social venue- great for parties, meeting up with old friends and having a chance to meet new friends. Music is a variety of Lounge Chill, House, Old School, R&B and Contemporary. Friendly service and great cocktails will make you want to return again and again.